John Edwin Rogers Falk was born on 22 August 1917 at Cessnock, NSW. His father, HJ Falk, was a pharmaceutical chemist in Sydney. John was educated at the North Sydney Boys High School in Sydney. He was trained as a pharmaceutical chemist at the University of Sydney. Earnings as a pharmacist and musician – John was an accomplished flautist of professional standing – enabled him to re-enter Sydney University and to get his BSc in 1942, followed in 1947 by an MSc on the basis of a thesis with A Albert on cytochrome C reactions with adrenaline and acridine compounds. After his graduation John held a scholarship at Sydney University with VM Trikojus. This was a wartime research program begun by the Drug Sub-committee of the Association of Scientific Workers to provide essential drugs which had become unavailable in Australia. This work consisted of the ad hoc emergency preparation of some anti-dysentery drugs which, together with the development of anti-malarial drugs and insect repellants of the phthalate ester class, were important in the New Guinea campaign. The contribution which this group made to the success of this campaign has never received the recognition it deserved. From 1944 to 1945, Falk was Chief Chemist of the Bayer Company of Sydney, responsible for process research and an interest in drug organic chemistry, synthesis and pharmacological action. His discovery of a process for the large scale synthesis of 5-amino-acridine was patented and is still in general use. In 1946-47, he worked under a Wellcome Research Fellowship with A Albert beginning investigations on the interaction of acridine compounds with enzyme systems with particular reference to the mode of action of anti-malarial agents. When Albert left for London, Falk obtained a National Health and Medical Research Council grant enabling him to work with MR Lemberg at the Institute of Medical Research at the Royal North Shore Hospital of Sydney. He was also a part-time lecturer in Agricultural Biochemistry at Sydney University. His research interests at this time covered the following related topics: the prosthetic group of cytochrome oxidase; porphyrin spectra and chromatography; porphyrin biosynthesis; and the physicochemistry of the porphyrins and their metal complexes. The investigations carried out at the Institute of Medical Research from 1947 to 1949 on porphyrins and the prosthetic group of cytochrome oxidase determined the direction of much of his later scientific work. He obtained a Nuffield Travelling Fellowship to work with C Rimington at University College Hospital Medical School from 1949 to early in 1951. He obtained his PhD at the University of London in 1951. From February 1951 to November 1955, Falk became the Leader of the Nuffield Unit for Research in Pyrrole Pigment Metabolism under Rimington. His studies on analytical, in particular chromatographic methods, opened the way to important insights into the biochemical mechanisms controlling porphyrin and haem biosynthesis. He also was Honorary Lecturer in Biochemistry at University College and from October 1953 to October 1955, Foulerton Research Fellow of the Royal Society, London. This work in London brought Falk into contact with many English and Continental, particularly French, scholars and established his scientific reputation. Apart from the analytic and biosynthetic approach, he developed a wide knowledge of the physicochemical and ligand theory aspects of porphyrin and haem chemistry. 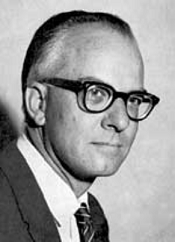 From November 1955 to March 1963, Falk was Head of the Biochemistry Section of the Division of Plant Industry, led by Sir Otto Frankel, and in 1963 he became his successor as Chief of Division. However, he never gave up his interest in the field of tetrapyrroles. I had gone from the world of applied science to the academic world, and back again, in CSIRO, to an applied research context. … Thus I came to CSIRO with a conditioning to do research at the best possible level with applied motives. At the time, not knowing much about CSIRO, I did not clearly appreciate how closely this attitude coincided with the philosophy of CSIRO. The research program in biochemistry was developed in several directions arising from his earlier experiences. His interest in porphyrins led to the formation of a group working on photosynthesis and chloroplast biochemistry, as well as on the physicochemistry and biochemistry of porphyrins and haemoproteins. He was quick to recognise the possible significance of an observation that certain porphyrins synthesised within the section showed anti-fungal activity. He foresaw that research into the chemical control of parasites linking basic research with industrial application could be a highly appropriate activity for the Division of Plant Industry. On his initiative an agreement was concluded in 1961 with Fisons Pest Control Ltd of England and JR Geigy of Switzerland which continued for several years, and, with the latter firm, and in the 1970s was still current. This agreement provided funds for research concerned with the synthesis and screening of compounds for biological activity and with studies on their mode or action. This work had industrial possibilities, and resulted in a number of patents. During his 11 years as head, he built the Biochemistry section from a few scattered people to a group of 15-20 scientists. The section became a leading plant biochemical laboratory and Falk and his colleagues had many distinguished guest workers from overseas institutions in their laboratory. Falk was an enthusiastic leader. greatly improved liaison with state Departments of Agriculture. Falk was greatly concerned that research results should be effectively developed and applied in farming practice, and therefore he fostered close co-operation with State Departments of Agriculture. He took a strong personal interest in establishing a working partnership between Departmental and CSIRO officers. The number of co-operative projects increased greatly, and training facilities in special fields of research previously started on a modest scale in genetics were greatly extended and diversified. He also succeeded in establishing good working relations with members of the seed industry so as to encourage the acceptance of new cultivars resulting from Divisional research activities. Let me conclude with some impressions he gave to some of us in his Division. He was always active, his mind working whatever was being done or said. He read, thought and talked quickly; he liked to ‘talk shorthand’ with those who understood and practised it. He read a good deal – science, and not only his own; ‘scienomics’; economics and social sciences in general; and of course a good deal of general literature, and he integrated and used his reading perceptively and imaginatively. He spoke and, as he said, ‘thought’ impeccable French. He was an excellent craftsman, though his taste in the visual arts and crafts was often not impeccable. He was, as MR Lemberg points out, a very fine musician. He had a prodigious work capacity and drove himself to its limits. John Falk suffered a severe heart attack in December 1969, shortly after he had presided over the successful International Symposium on Autonomy and Biogenesis of Mitochondria and Chloroplasts, sponsored by the International Union of Biochemistry, the Australian Academy of Science and the National Academy of Sciences, which in itself was a recognition of the value of the work of Australian scientists in this field and particularly the Biochemistry Section of the Division of Plant Industry. After a difficult and slow recovery he appeared to rally but died at the young age of 53, after another heart attack shortly following his return to Canberra in October, 1970. He had more than 50 publications including several reviews; the co-editorship of the contributions and discussions at the 1959 Canberra Symposium of the International Union of Biochemistry, published in 1961 in two volumes as Haematin Enzymes; and the book Porphyrins and Metalloporphyrins published by Elsevier Publishing Co. in Amsterdam in 1964. This book has become a classic. He was a member of the Biochemical and Chemical Societies, London, the Australian Society for Plant Physiology and the Australian Institute of Agricultural Science. Together with Lemberg and Morton he organised the 1959 International Symposium on Haematin Enzymes for the Academy and the International Union of Biochemistry. The arrangements made for this Conference greatly impressed overseas visitors and undoubtedly served in many ways as a model for subsequent meetings in both the USA and Japan. CSIRO established the John Falk Memorial Lecture in his honour. In a revealing small section of his short autobiography entitled Peer evaluation, Falk stresses that far from being laurels upon which to rest, such honours and recognitions are of great benefit for the recipient with regard not only to strengthening his authority but even more so by including him in the ‘invisible colleges’ of international science and international exchange. A full account of the life and achievements of John Falk can be found by following the link in the Source details below.